Standard amenities in all rooms include, air conditioner, one complimentary bottle of water on arrival, attached bathroom/toilet with 24x7 hot & cold water, complimentary shower gel, complimentary liquid hand wash soap, daily fresh towels, microwave, electric kettle, one complimentary setup of tea/coffee/sugar/creamer sachets per day, mini fridge, cable television with over 100 channels, free WiFi (inside rooms & around the property), intercom telephone, international electrical charging sockets, daily housekeeping service. This room can comfortably accommodate 4 persons. Bed setup for One/Two persons is one double bed (78"x60"), Third person - One single bed (78"x36"), Fourth person - One extra bed (74"x30"). 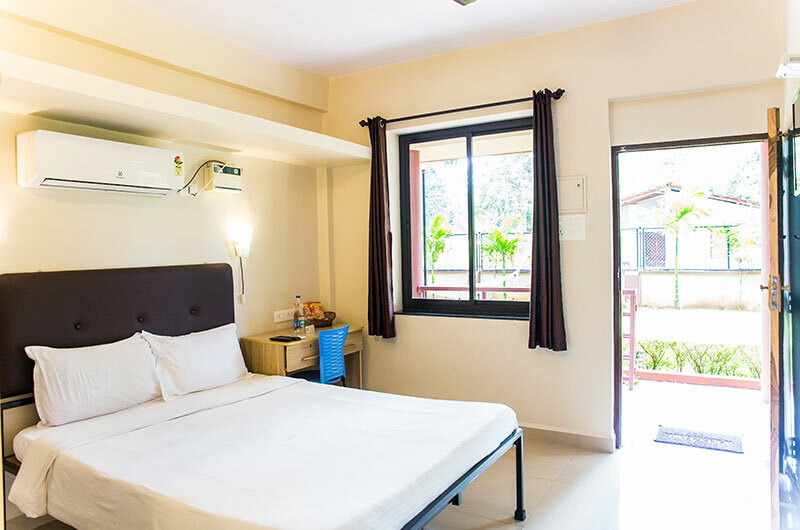 In addition upon request up to Two more extra beds can be setup to accommodate a maximum of 6 persons. This room can comfortably accommodate 4 persons. 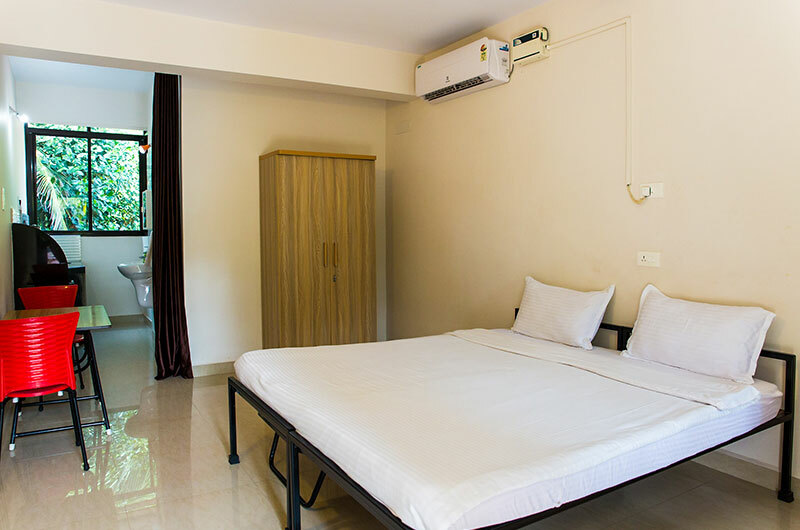 Bed setup for One/Two persons is one double bed (78"x72") or upon request two single beds (78"x36")+(78"x36"), Third person - One extra bed (74"x30"), Fourth person - One extra bed (74"x30"). 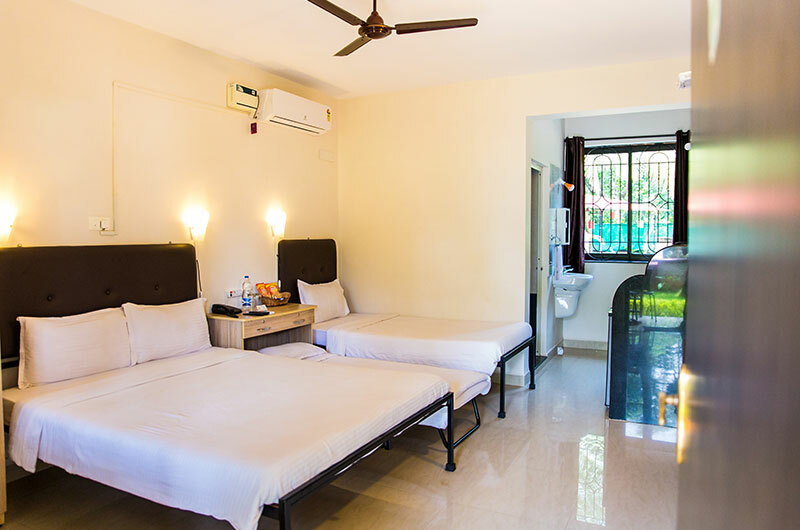 In addition upon request up to Two more extra beds can be setup to accommodate a maximum of 6 persons. This room can comfortably accommodate 2 persons. Bed setup for One/Two persons is one double bed (78"x72"). In addition upon request One more extra bed(74"x30") can be setup to accommodate a maximum of 3 persons. This room can accommodate maximum 2 persons (adults only, no children allowed). Bed setup is one large double bed (78"x60"). 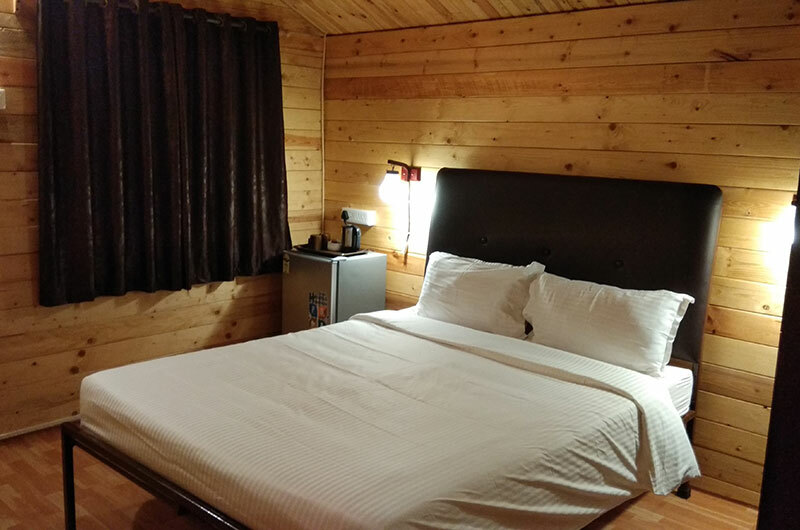 All Wooden Double Rooms overlook the swimming pool and badminton court.